CANBERRA, Australia (AP) — Australia's High Court on Friday disqualified the deputy prime minister and four senators from sitting in Parliament in a ruling that could cost the government its slender majority in Parliament. 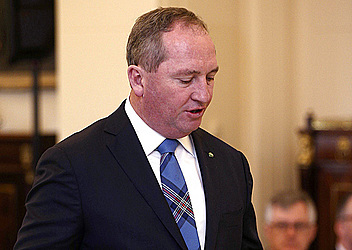 The decision to disqualify Deputy Prime Minister Barnaby Joyce over a 116-year-old constitutional ban on dual citizens sitting in Parliament means a by-election will be held for his rural electoral district in December. Prime Minister Malcolm Turnbull's conservative coalition has a single-seat majority in the 150-seat House of Representatives where parties form governments. 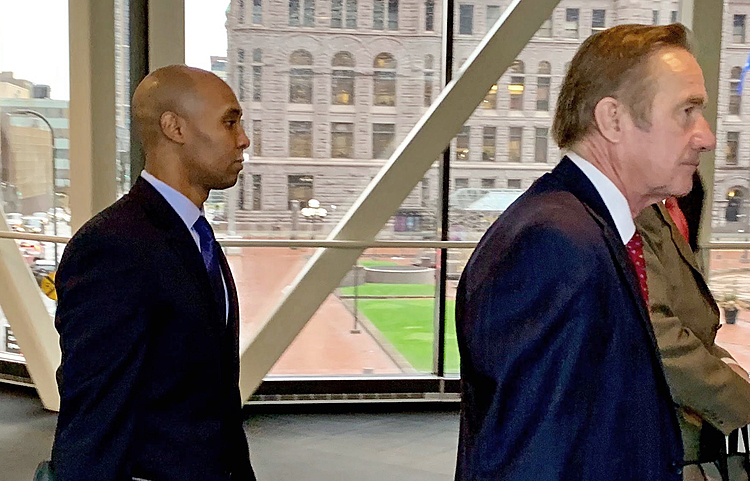 The court also disqualified four of the six senators whose qualifications to be elected were debated in a three-day hearing earlier this month. The disqualified senators included government minister Fiona Nash, who inherited British citizenship from her Scottish father. Another government minister Matt Canavan, who the court heard might have inherited Italian citizenship from his Australian-born mother through his Italian grandparents, was allowed to stay in Parliament. Nick Xenophon was also allowed to stay in Parliament. He was born to Cypriot- and Greek-born parents and checked with both embassies to ensure he wasn't a citizen of those countries. He later found he was British because his father left Cyprus while it was a British colony. Disqualified senators are replaced by members of their own parties without an election so the balance of power is not altered. Joyce will be able to stand for re-election, having renounced the New Zealand citizenship he unknowingly inherited from his father. With the government trailing the opposition Labor Party in opinion polls, voters could use the by-election to toss both Joyce and his government out of office. The seven lawmakers said they did not know they were dual nationals when they ran for election last year. Two senators had resigned before the case reached court. The seven judges delivered their decision a day after Parliament was adjourned for a month. Had it come 24 hours earlier, Joyce would have suffered the embarrassment of having to immediately leave the House of Representatives where only lawmakers are allowed.